Polot - Lisunow Li-2 1945r. In 1936, the Soviet delegation left for the US to purchase a passenger aircraft license to be the primary aircraft of the Aeroflot airlines. At that time, Aeroflot used worn-out passenger machines that were reconstructed bomber aircraft. 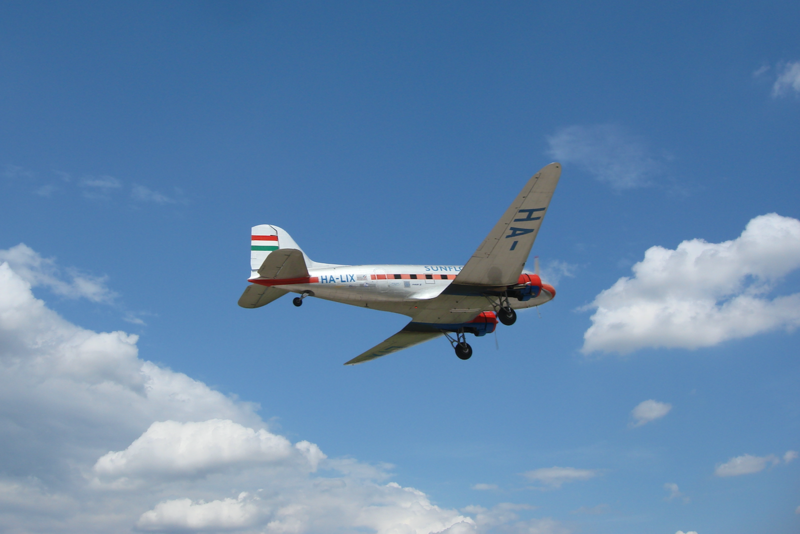 The Soviets chose the Douglas DC-2 (first flight in 1934). However, in December 1935, a larger transport plane marked DC-3 was created in the USA. Negotiations were conducted at the Douglas main label in Santa Monica. The talks were finalized in 1937, signing an agreement on the purchase of rights to license production and 20 DC-3 serial machines, additionally two copies completely in parts. Airplanes were delivered to CCCP by sea. Airplanes were used to prepare production documentation and for training purposes for pilots and mechanics. The Douglas company sold the DC-3 passenger aircraft license to the Soviets, which in turn was developed on the basis of the Douglas C-47 Dakota military transport aircraft. During the Second World War, the US Army was equipped with Douglas C-47 Dakota aircraft off around 10,000, and a total of about 13,000 aircraft were built. To this day (2008), several aircraft are in use. Work on the aircraft at CCCP was not easy, because the technical documentation had to be practically from the beginning, turning Anglo-Saxon measures into metrics. It was necessary to look for replacement parts of the equipment and start the production for the rest. In the construction of the aircraft, 1 293 engineering and technological changes were introduced. The DC-3 (C-47) was powered by 14-cylinder piston engines in a double radial, Pratt-Whitney Twin Wasp R-1830-92 air cooled with a starting power of 2 x 883 kW (2 x 1,200 HP). During the failure of one of the engines, the plane continued its flight. However, the Lusinow Li-2 aircraft received weaker engines, which significantly deteriorated safety. Wright Cyclone R-1820 license engines were used, air-cooled, 9-cylinder single radial, 2 x 736 kW (2 x 1,000 HP). Designation in CCCP initially M-1820, and later M-62 / ASz-621 R. The Li-2 propellers were metal, 3-blade type, AW-7N-161 with a diameter of 3.5 m. Propellers were used in DC-3 aircraft Hamilton-Standard also 3.5 m in diameter. In 1938, preparations for serial production began. The factory No. 84 was located in Chimikach near Moscow. For this reason, the aircraft received the designation PS-84 (PS pasażyrskij samoliet, 84 production no.). The name Li-2 was given only in 1942, and was related to the name of Borys Pawłowicz Lisunow. 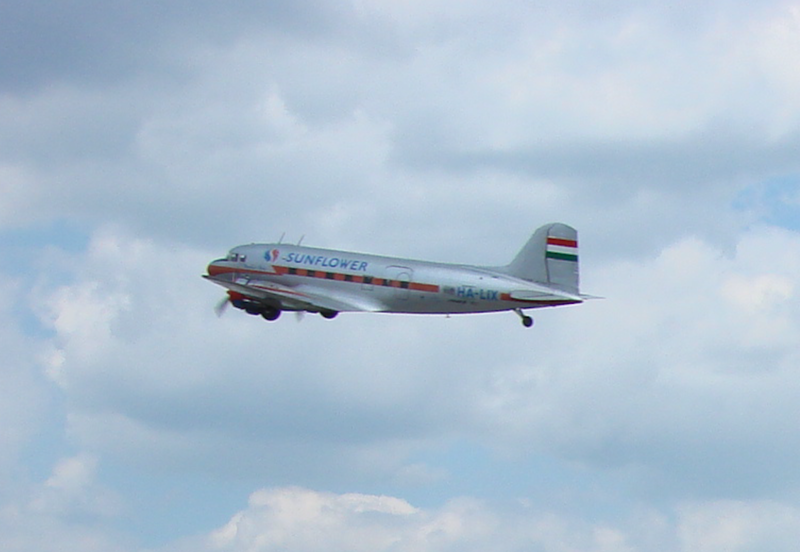 Lisunow was the main constructor and worked on adapting the Douglas DC-3 to the capabilities of the Soviet industry. Unfortunately, in 1946, Lisunow died and the Li-2 aircraft was his only construction. The first Soviet airplanes PS-84 (DC-3) were built in 1939, and by June 1941 only 72 machines were built. They were brought to Aeroflot and used for war purposes. Production of Li-2 / PS-84 for the army lasted until 1946 and closed with around 3,000 copies. After the war, further production was carried out mainly for civil and export purposes. Until 1952, and totaled probably 4,863 copies. The basic version of the PS-84 / Li-2 aircraft takes 3 crew members and 26 passengers on board. Polish pilots with Douglas DC-3 (C-47) aircraft encountered during the Second World War in the Polish Armed Forces in Great Britain. After the Second World War, 17 Li-2 T machines were used in the Polish Military Aviation. The first copies were sent to the Polish Army in April 1945. By the end of 1945 there were already 6 machines in stock. In 1960, 17 copies, in 1970, 12 copies. Over the past three years, three more machines have been exploited, which were listed in 1974, finally after 19 years of operation. In 60 years, the Li-2 aircraft were used mainly in the 13th Transport Aviation Regiment in the 1st Squadron (in Krakow). Airplanes performed typical military tasks, charter flights, flights with humanitarian aid and flights for the National Bank of Poland. Airplanes were used by parachutists. In 1946, the reactivated airline company PLL LOT took over from the Polish army 10 Li-2 machines. The first post-war national line Warsaw-Gdańsk and circular routes were opened with these planes. 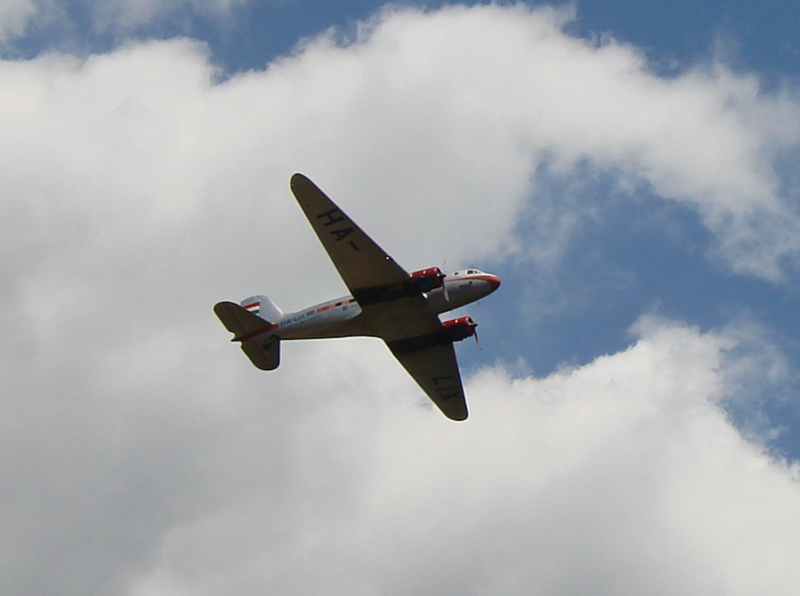 In 1946, 9 DC-3 machines were purchased, which began to be operated on foreign lines. They received registrations SP-LKA, SP-LKB, SP-LKC, SP-LKD, SP-LKE, SP-LKF, SP-LKG, SP-LKH, SP-LKI. These were airplanes purchased from the demobilization, version C-47 A. There were only metal benches in the passenger cabin. The cabin was modernized and 21 seats were installed, in a 2 + 1 system in 7 rows. In 1957, another interior modification was made by mounting 24 seats. 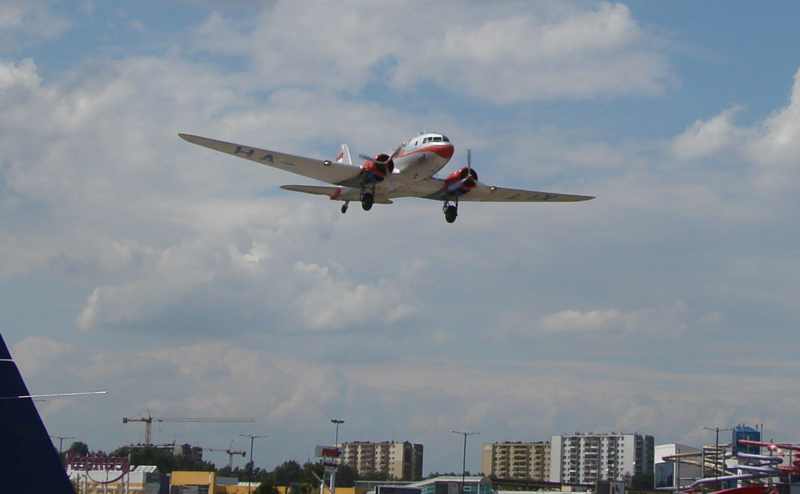 The last DC-3 at LOT ended its service in 1959 and was sold to Iran. In 1946, 20 Li-2 machines, 1947, 29 copes, 1953, 39 copes, 1955, 40 copes were used in PLL LOT. The Li-2 aircraft were operated at PLL LOT until 1967. The Li-2 aircraft was the most frequently operated aircraft in PLL LOT. Aircraft DC-3 / Li-2 registration SP-LKE "Ewa" has been equipped with special measuring equipment. It allowed for the control of ground VOR and ILS devices from the air. The owner of the aircraft was the Air Traffic Management and Communication Airports (ZRLiLK). The plane was painted in white and red to make it visible from the ground. The plane fulfilled its task from July 1967 to November 10, 1970, when it was replaced by the Ił-14 SP-LNB. The Ił-14 SP-LNB airplane was named "Parrot". 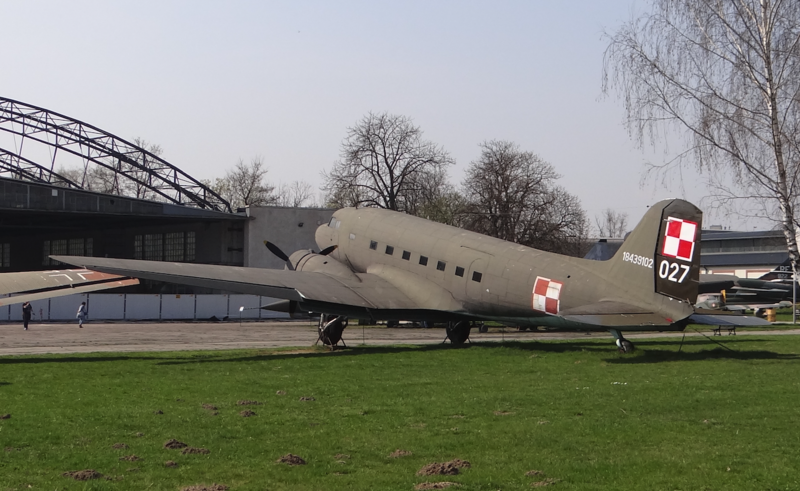 Aircraft DC-3 / Li-2 SP-LKE went to the Museum in Czyżyny in Krakow in June 1974. However, after a few years, it was burned by young vandals and was almost completely destroyed. 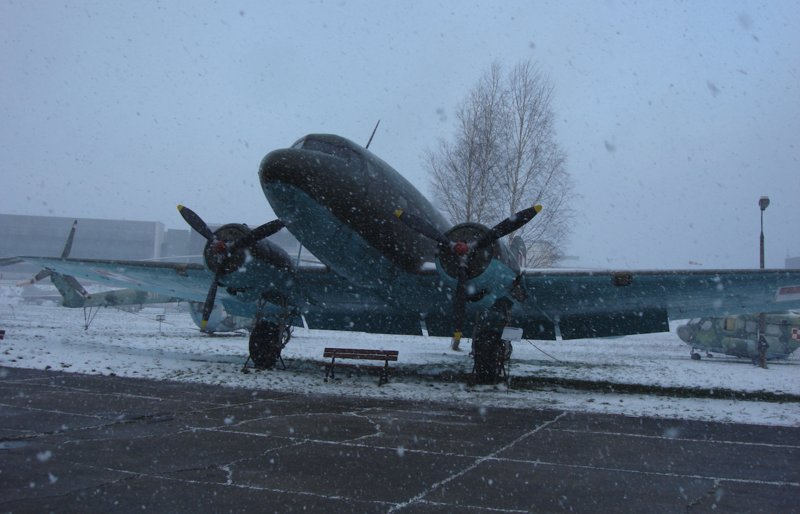 At that time, the Museum of Aviation and Astronautics (later the Polish Aviation Museum) was also provided with the Li-2 airplane in transport version No. 39 18436204, which was discontinued from the 13th Transport Aviation Regiment (JW. 1616) in Balice. Both planes were placed in front of the museum hangar. Also this plane was destroyed by vandals. Both copies were deleted. 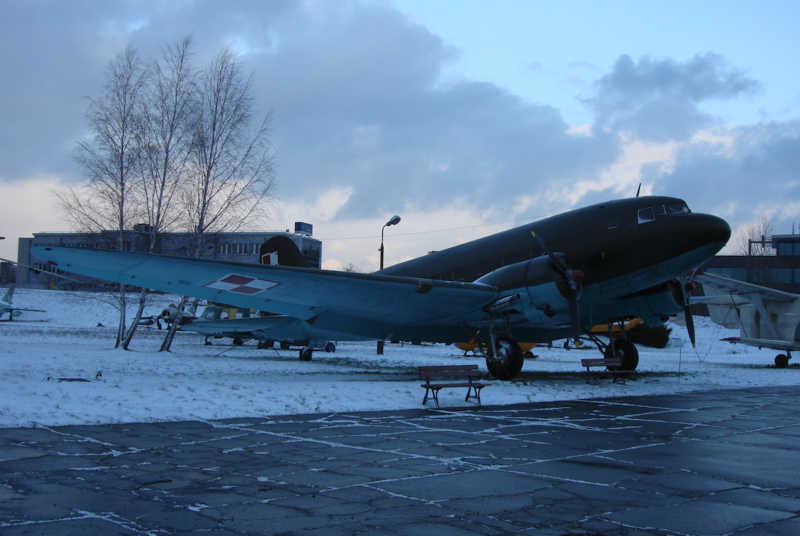 After service, the Li-2 planes have become big attractions for several cities in Poland. One of the planes went to Lublin in the People's Park. It has a café-buffet. For many residents of Lublin and the surrounding area it was the first opportunity to see the plane up close, and even to see how the plane looks in the middle. A similar attraction was given to the residents of Wieruszów. Against the background of others, this plane is unusual, because it stands at the "airport" in Wieruszów to this day (2019). At the "airport" because this park was called by the inhabitants, although there was never an airport here. The plane went to Wieruszów around 1968. Also on the plane was arranged a café-bar, which after several years was liquidated. The aircraft has not been removed. In 2016, the plane was thoroughly inspected by an aircraft mechanic, or by accident the plane would not break or fall off the wing at some point, creating a danger for people nearby. It turned out that with the exception of the unoriginal floor everything is in good condition and the plane can still enjoy its view of the inhabitants. Some residents were so happy that they thought the plane was being watched by a mechanic, because he would return to flying. Unfortunately, the dream is unrealistic. The plane was repainted. The last flying Li-2 T No. 18439102 nb 027 (05), ex SP-LDA, in May 1974 landed at the home airport of the 13th Regiment of Transport Aviation in Balice. It was set in the Wolski Forest, opposite the entrance to the ZOO and was turned into a cafe. After several years, he was transported to Czyżyny. It was completed with engines and other equipment from two other burnt DC-3 / Li-2 No. 23442002 registration SP-LKE and Li-2 No. 18436204. 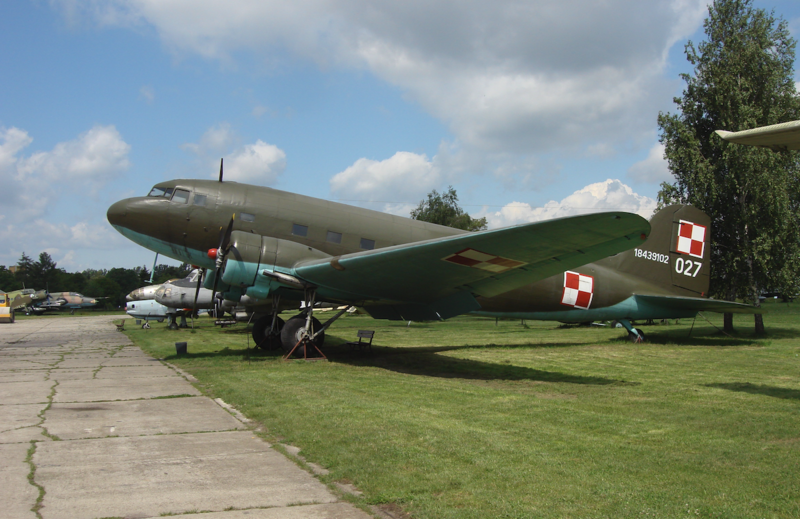 This aircraft is still one of the most valuable exhibits of the museum in Czyżyny.